As you guys can probably tell by now, I am more of an eye person (*love* doing eye makeup!) but since a reader requested a post on how to correct the shape of your lips, here are my two cents. To make thin lips appear fuller, avoid using dark, dull or matte colors. Instead, opt for light or bright colors. Use concealer to cover your natural lipline, powder slightly then line your lips just a little outside of your natural lipline. Make sure they are no spaces between the new line and your natural lipline. Fill in with lipstick. Apply a high shine clear gloss over the lipstick. 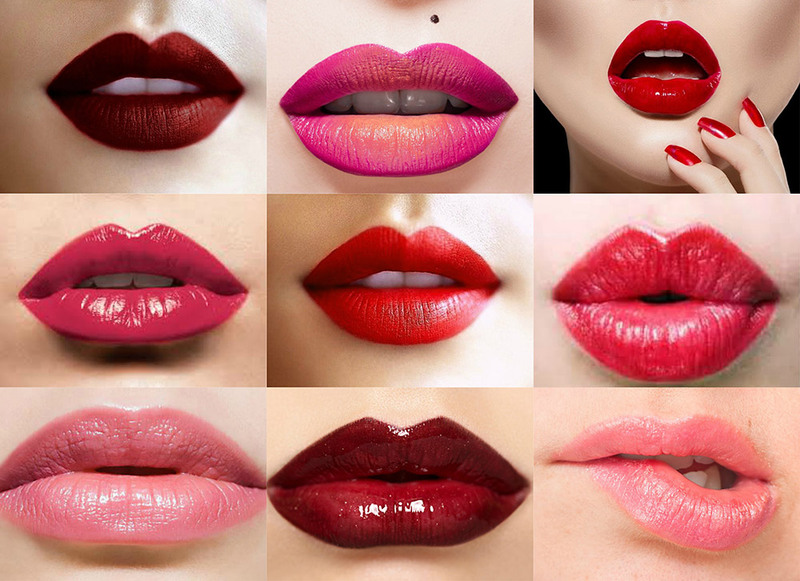 To minimize the appearance of thick lips, go with matte or muted lip colors – they will make lips appear less full. Stay away from bright, glossy or light colors. Use concealer to cover your natural lip line, powder slightly then draw a line that is just inside your natural lipline. Soften the line with a brush, then apply lip color. Asymmetrical Lips: Just combine the above. • Use a natural lip liner to subtly recreate your natural lipline. Do not try to alter the shape of your lips completely as it can look unnatural. • A full rounded mouth shape can make you look younger while flat, thin lips appear harsh and strict. • Never wear a lipliner that is a lot darker than your lip color. Having a ring around your lips is the last thing you would ever want! • To make lip color stay on longer, apply lip balm then color your lips with a liner. Apply a layer of lipstick, blot then apply a second layer. • Exfoliate your lips regularly to get rid of dead skin. Apply a layer of Vaseline over your lips every night before you hit the bed. yes u do have a wonderful site but u can include some pictures to be more informative. Thanks Phyllis I lurrrve your website! Can you tell us more about how you care for your lips? I have lips with a darker outer ring since young and I find difficulties in applying an even colour of gloss or lipstick on it =c Do you have any methods or solutions?? thanks!!! hey Destiny, I don’t do much for my lips except exfoliate them once in a while and apply Aquaphor to keep them moisturized. If you have a darker outer ring around yours, try applying a thin layer of concealer before lipliner and lipstick/lipgloss. I know it sounds tedious but it does help with uneven pigmentation. love ur site phyllis, have been a fan for many months! as a lil lip exfoliator i use a tiny amount of St ives Scrub and gently rub, which removes the dry skin n then add sum vaseline to soften them :)! i agree that more photos would be more helpful, or perhaps even some video tutorials?